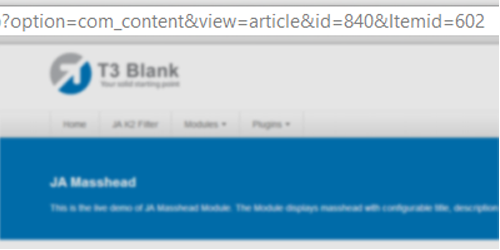 The module has been released with following templates: JA Tiris, JA Zite, JA University, JA Beranis, etc. 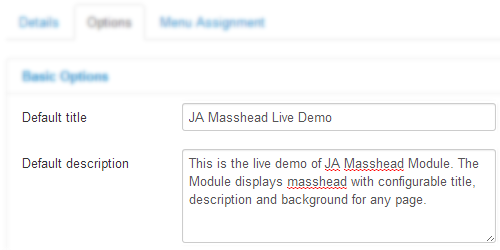 The module uses page id or bases on elements in the link of the page to define masshead so that you can display masshead in any page (a menu item, an article, etc). All massheads are managed in one field. 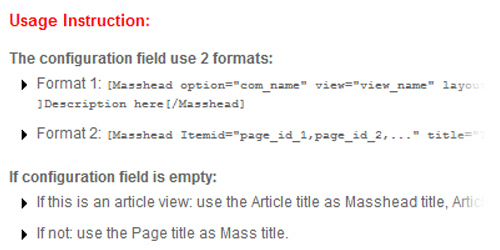 You can select to use default title and description for all pages that are assigned to display Masshead, otherwise, define title and description of masshead in each page. Masshead in each page comes with different title, description and background as well. The background can be an image stored anywhere in "images" folder or solid background (for pages that you don't use image background). The module includes the usage instructions in admin setting panel. 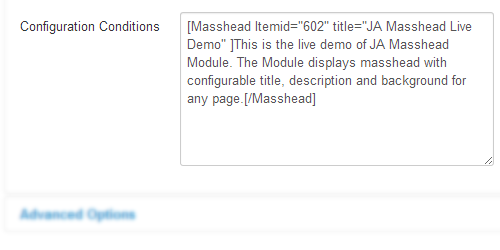 You will see the supported formats, the configuration condition, etc. 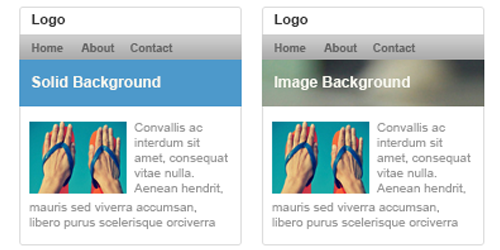 Each field in the setting panel also has tooltip that shows you the functionality of the field and how to use it.